Breaking up is hard to do -- we're here to help. Did you recently go through a break up, or are you still going through it? The end of a relationship signals a period of change, and it can often be accompanied by pain or confusion. Loneliness, heartache, and guilt are all emotions that might take over following a break up. Hope can be on the horizon, even if you can't see it right now. Break up counseling is here to help. 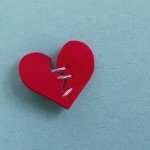 Break up counseling helps you move past the painful emotions that come along with the end of a relationship. Whether you end a dating relationship, engagement, or marriage — break ups are hard. If you are feeling lost, alone, or having a tough time dealing with all of the change that is taking place at once, it might be overwhelming. You are not alone. Going to counseling for a break up helps you get back on your own two feet and work through the emotions of helplessness, confusion, or even betrayal. We are here to help you find happiness in your new life. Don’t go through the pain of a break up alone. Give us a call! Should You Break Up During the Holidays?